What are the Different Senses? Paul Langerhans is the President and Managing Partner for Making Strides of Virginia. Paul is an experienced corporate governance and information technology professional who has spent the past 25 years guiding organizations to superior performance. Paul brings a wealth of knowledge and experience in the areas of good corporate governance and leveraging information technology to provide superior value to organizations and patients. Kevin A. Lawrence is the Treasurer for Making Strides of Virginia. 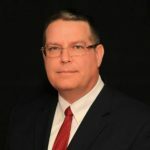 Kevin has 28 years of experience with a global information technology firm in business and customer management, contract negotiations, finance, and staffing. Kevin looks forward to every opportunity to be outside and engaging with nature. His involvement as a volunteer with a children’s hippotherapy group allowed him to gain first-hand experience with enticing people to interact with horses in a safe manner. “If I can do something that can get a child to smile, it is a good day. A laugh makes it a great day.” Kevin resides in West Chester, PA where he has lived for 30 years after receiving his Bachelors of Science in Computer Science from Penn State University. 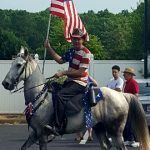 Kevin has been an avid horseman for many years and makes frequent trips to Virginia to work with the horses used in the program. Robin is the founder and Executive Director of Making Strides of Virginia. She holds multiple university degrees including a Bachelor’s of Science in Biology/Pre-Med from Albright College, a Bachelor’s of Science in Health Science and a Masters of Physical Therapy from University of the Sciences in Philadelphia (formerly Philadelphia College of Pharmacy and Science). Robin received her Doctor of Physical Therapy from Temple University. She is licensed to practice physical therapy in Virginia. Robin has completed AHA Level 1 training and is also a PATH International Registered Therapist. Robin is a board member of the American Hippotherapy Association. In addition to her extensive education and training, Robin has practiced in multiple settings including both inpatient and outpatient practices, serving patient populations from pediatrics with special needs through geriatrics. Throughout the 1990’s, she was the owner of her own outpatient physical and occupational therapy practice in Delaware County, Pennsylvania offering physical and occupational therapy including orthopedics, sports medicine, worker rehabilitation, aquatic therapy and general practice services to the suburban Philadelphia market. 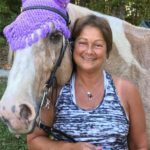 Since 2002, her physical therapy practice specialized in hippotherapy at the Camphill Special School in Glenmoore, PA. Concurrently, she also directed and operated a private practice incorporating hippotherapy as a treatment tool in West Chester, Pennsylvania. serving a population inclusive of Autism, Hypotonia, Cerebral Palsy, Down Syndrome, Learning Disabilities, ADD/ADHD, Multiple Sclerosis, Muscular Dystrophy, Spina Bifida, Abnormal Curvature of the Spine, Developmental Delay, Brain and Spinal Cord Injuries, Gait Abnormalities, Cerebral Vascular Accidents, Sensory Integration Dysfunction, Spasticity & Hypertonicity. 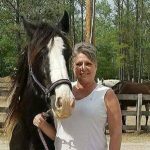 Tammy Pickelhaupt is our CHA Certified Riding Instructor and a retired Chesterfield County school teacher. She became interested in horses when her daughter began riding at the age of eight. She has owned horses for the past 15 years and currently has Duke and Rocky, who are both Quarter Horses, and Barney, a Missouri Fox Trotter. Tammy enjoys trail riding and camping with the horses. She has been married for 31 years. She and her husband have two beautiful adult children – Erich and Emily.